Hunter & The Bear are pleased to announce another string of UK headline dates in June, bringing their huge sound to an even greater audience in celebration of their debut album, 'Paper Heart' out May 12th. 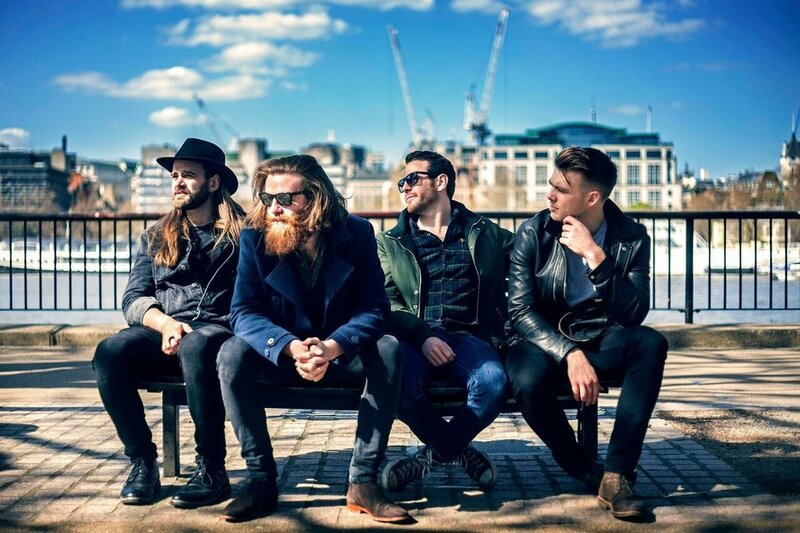 Hailed as ‘the heroes British rock needs right now’ by the Huffington Post, the mighty Hunter & The Bear's raw, infectious and downright thunderous output has seen them garner extensive plays on BBC Radio 6 and 2 already, as well as spots on large stages at Reading & Leeds, T in the Park and Hard Rock Calling festivals. A sold-out UK tour already under their belts, the band have also acquired prolific support slots, having toured with the likes of Eric Clapton, Van Morrison and Simple Minds respectively. Brought up on a heavy diet of rock bands like Led Zeppelin, Black Sabbath and Pink Floyd, Hunter & The Bear are equally inspired by modern bands like Biffy Clyro, War On Drugs and Royal Blood and their forthcoming album offers more than a glimpse of what you can expect from their raucous live shows.